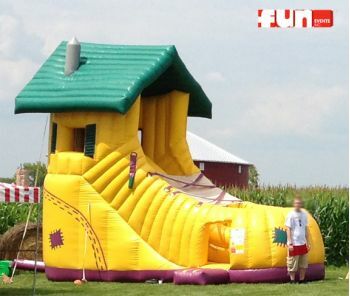 The Old Woman In A Shoe Slide This slide is pulled right from the pages of a nursery rhyme. 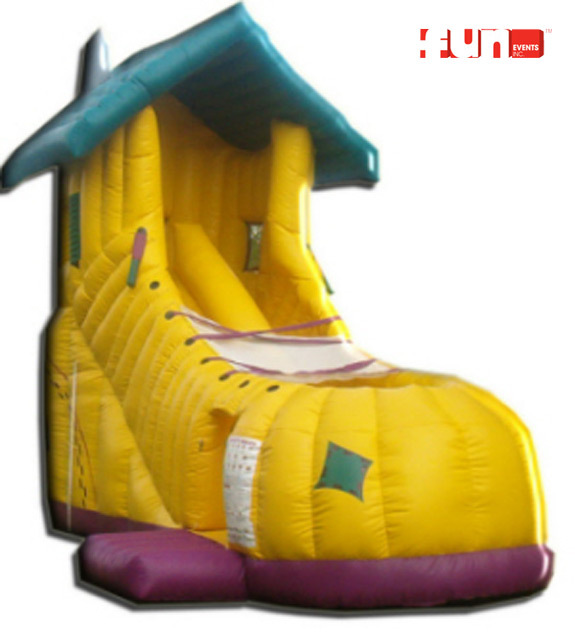 This magically detailed inflatable slide rental really comes to life with its warm inviting appearance. Your little guests are sure to love this fun nursery rhyme brought to life.